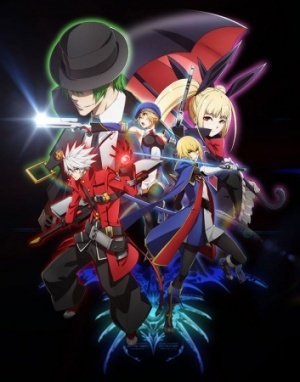 BlazBlue is a fighting video game series by Arc System Works that has spawned manga adaptions and an upcoming anime called BlazBlue: Alter Memory. Rachel Alucard has special dialogue when she loses to Bang Shishigami where she says "Gii! Prepare a bath! That filthy man touched me, and I fear he may have left something of himself behind. I feel unclean!" which her pet Gii responds with "O-Of course, milady." In the story mode Rachel will say "Goodness gracious, I had not even noticed the smell! Do you even bathe?" with Bang responding with "Public baths are where men go to socialize. I usually wrap up each day by going to the public bath and sharing my point of view with my men. I've never passed a day without going there!" There is a cutscene in story mode of Hazama taking a Bath in a Slipper Bathtub. There is Clothed Onsen scene with Ragna the Bloodedge, Rachel Alucard, Litchi Faye-Ling, Taokaka and Noel Vermillion. promotional phone card featuring Litchi Faye-Ling and Taokaka bathing together in a Hot Spring.